Saturated: The Allure and Science of Color debuted at the Cooper Hewitt, Smithsonian Design Museum (New York, NY) in May 2018. The exhibition explores the elusive, complex phenomenon of color perception and how it has captivated artists, designers, scientists and philosophers for centuries. 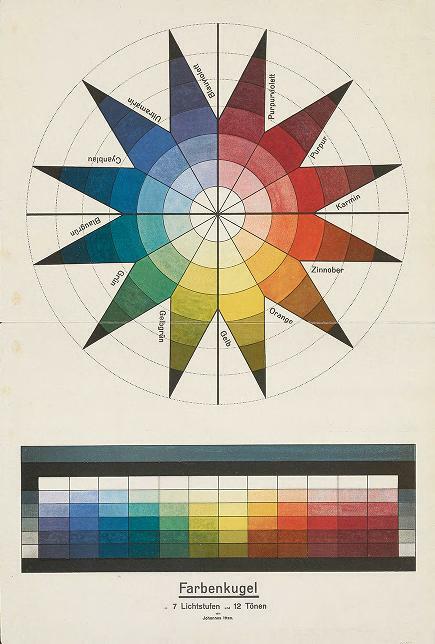 Featuring over 190 objects – 44 from Smithsonian Libraries’ collection – Saturated reveals how designers apply the theories of the world’s greatest color thinkers to bring order and excitement to the visual world. Saturated is displayed in the museum’s second-floor permanent collection galleries. It is co-curated by Jennifer Cohlman Bracchi, librarian at Smithsonian Libraries’ Cooper Hewitt, Smithsonian Design Library, and Susan Brown, associate curator of textiles at the Cooper Hewitt, Smithsonian Design Museum. Saturated expands upon its inspiration, the Smithsonian Libraries’ exhibition Color in a New Light, curated by Jennifer in the National Museum of Natural History (February 2016 – May 2017). It is organized into seven sections, each including rare books: Capturing Color, Color Optics, Creating Colors, Navigating Color, Color and Form, Color Collaboration and Consumer Choice. Creating Color features the most library materials, covering the basics of color – hue, value, saturation, additive and subtractive color mixing, and color measurement – all through primary sources. 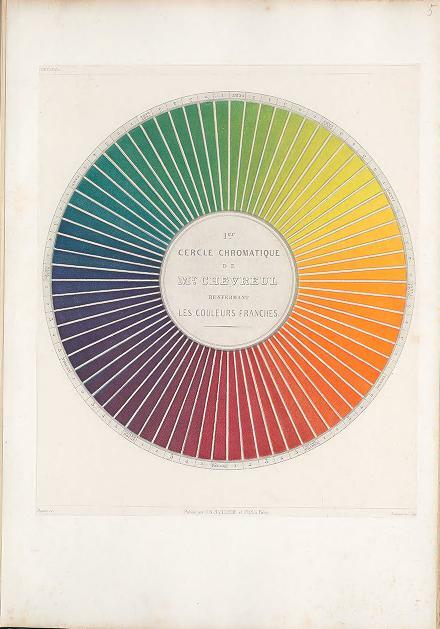 In the pages of more than three dozen rare books of color theory on view are illustrations – spheres, cones, grids, wheels and more – that showcase a dazzling spectrum of efforts to model, systematize, and measure color. Plate from Michel Eugène Chevreul’s Des Couleurs… (1864). Two significant recent Libraries acquisitions made their debut in the exhibition – Michel Eugène Chevreul’s Des Couleurs… (1864) and Johannes Itten’s Farbenkugel (1921) – demonstrating the Smithsonian Libraries’ dedication to growing rare and special collections.